We can all admit that sometimes our cupboards get bare and we don’t want to go grocery shopping, so we look to see what we have to make and we just start throwing things together and seeing if it tastes good. Mashing up different foods is definitely a trend now, as companies are creating these food mashups that make us question what they were thinking! 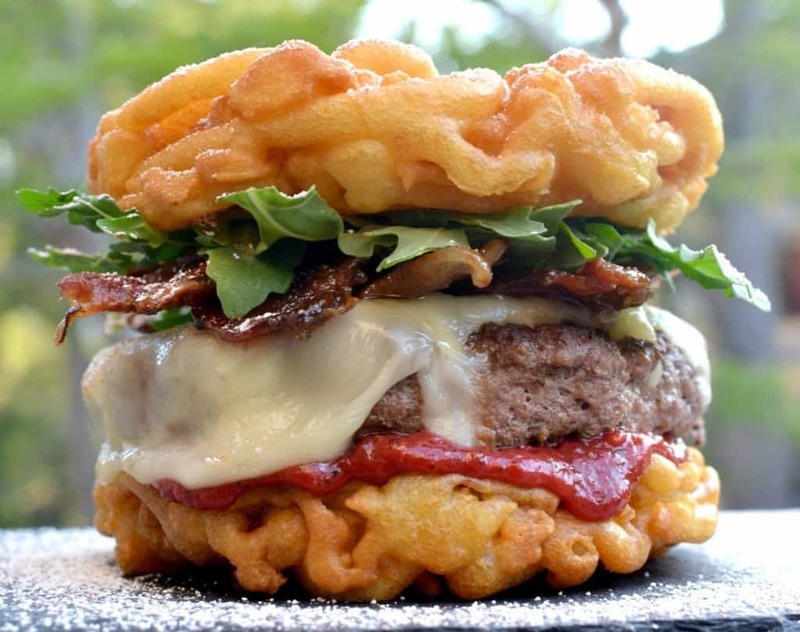 Check out 20 of the craziest food mashups that have ever been created. 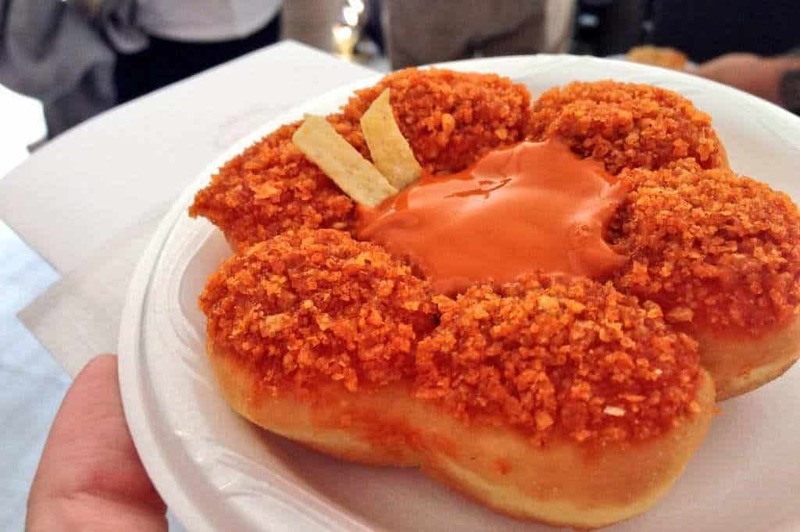 Tim Horton’s tried this out at the 2014 New York State Fair, as it is a pull-apart donut that is topped with crushed-up chips. You can dip that into some buffalo sauce in the middle and you get a little bit of everything in one snack. 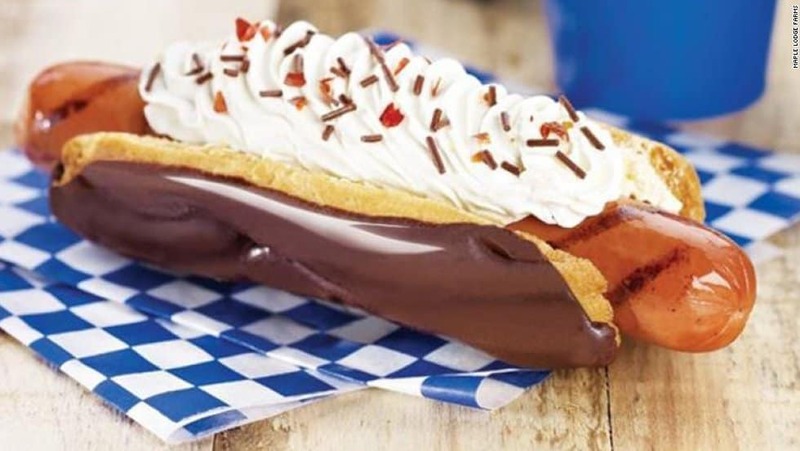 We love eclairs and we love hot dogs, but we can’t imagine the two of them together. We would rather stick with the cream in the middle and not replace it with a hot dog. 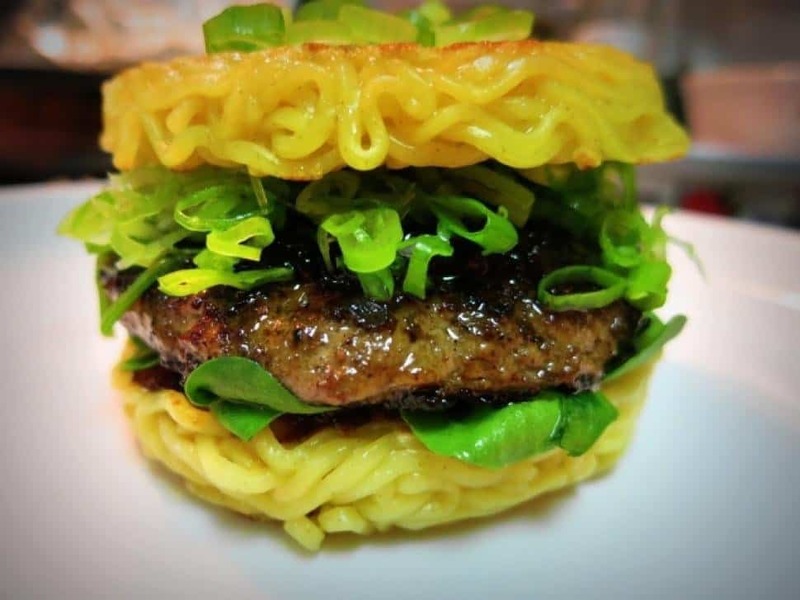 We would guess the person behind this had no buns at their house, so they just decided that Ramen noodles would work as a bun. However, this burger was created by Keizo Shimamoto, a Brooklyn Ramen chef, so no random mashups here. Denny’s tried this on their menu back in 2011. It is a burger topped with creamy mac and cheese and then more cheese on top of that. Add in a side of fries and you’re looking at 1690 calories and 99 grams of fat on one plate! 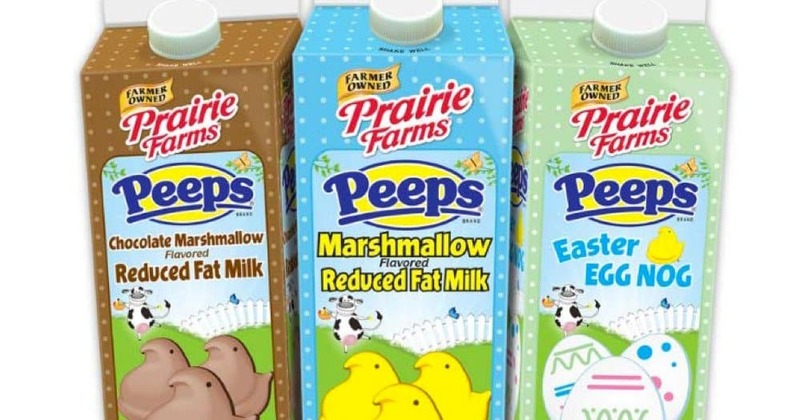 Peeps are a popular treat during Easter, so Prairie Farms thought they would try out some Peeps flavored milk. It came in chocolate marshmallow, marshmallow and Easter eggnog. Nothing about this mashup seems appealing to us. 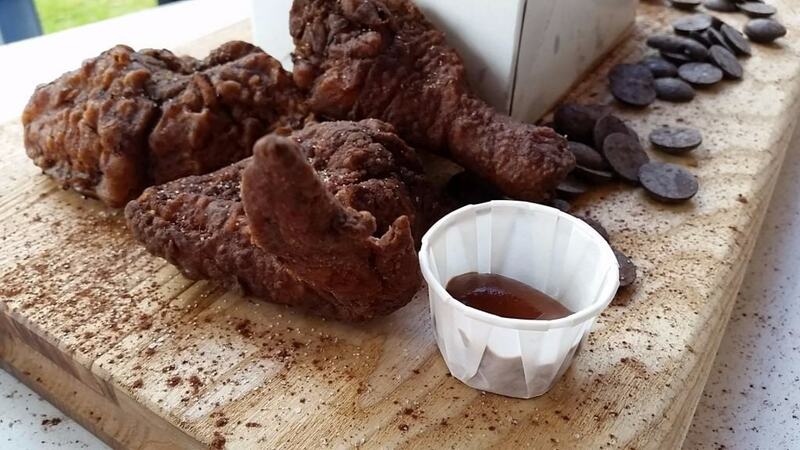 This one is extra odd to us, as we love fried chicken and we love chocolate, but we can’t imagine the two of them together. We’re not too sure how this would taste, especially with that BBQ sauce. We want to meet the person that mashed this together — chicken wrapped in duck that is wrapped in turkey that is wrapped in pig! Could they get any more meat in there? They ran out of buns at your local fair, so they decided to make some smaller funnel cakes and use those as the buns. We’re guessing this doesn’t taste too great, as the sweet bun wouldn’t mix well with the contents. 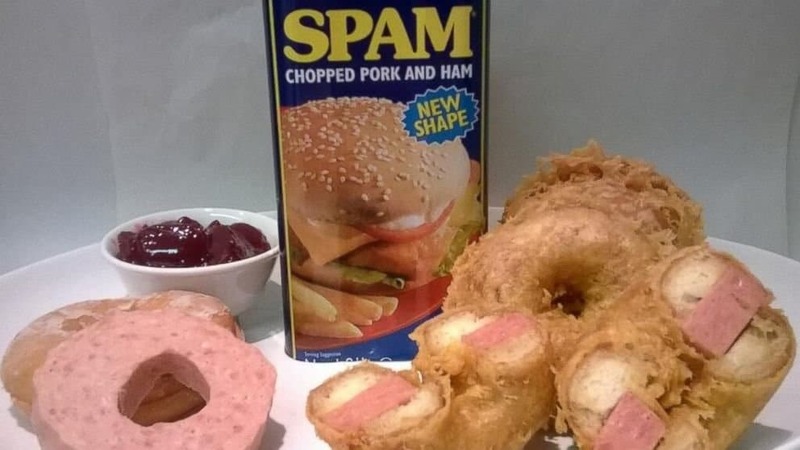 We fully support donuts and think they are a necessary food to have, but we’d rather have a raspberry or lemon filled donut and not a Spam filled one! Not many people enjoy Spam to begin with and this makes it even less appealing. This is an easy way to eat sushi at the local carnival. 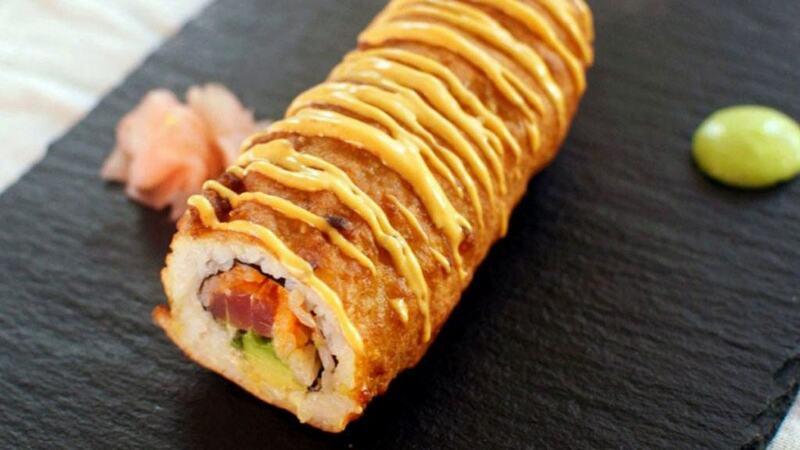 As weird as it looks and sounds, we are intrigued by this one and would definitely try it out. 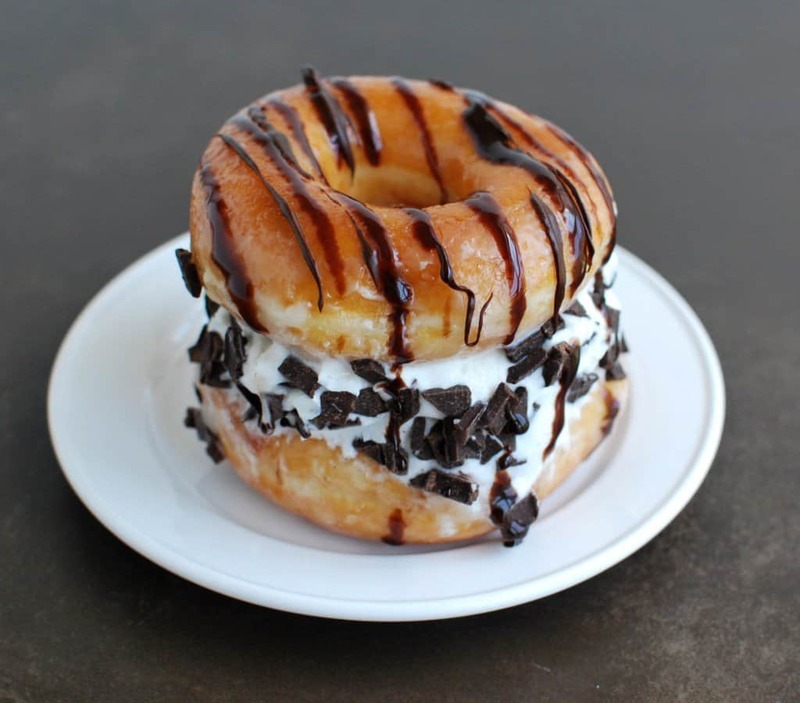 As if donuts don’t have enough fat in them, why not throw some ice cream and chocolate chips in between two of them! That is a lot of sugar on one plate. 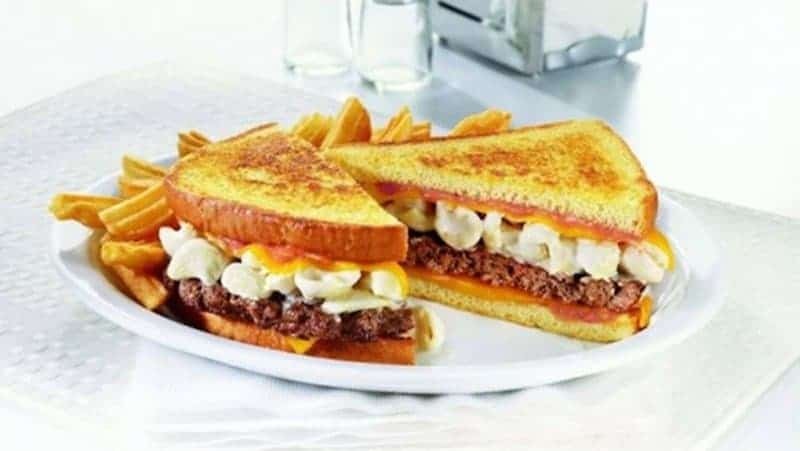 We don’t think they can truly call this a grilled cheese, as it doesn’t look like it is grilled. 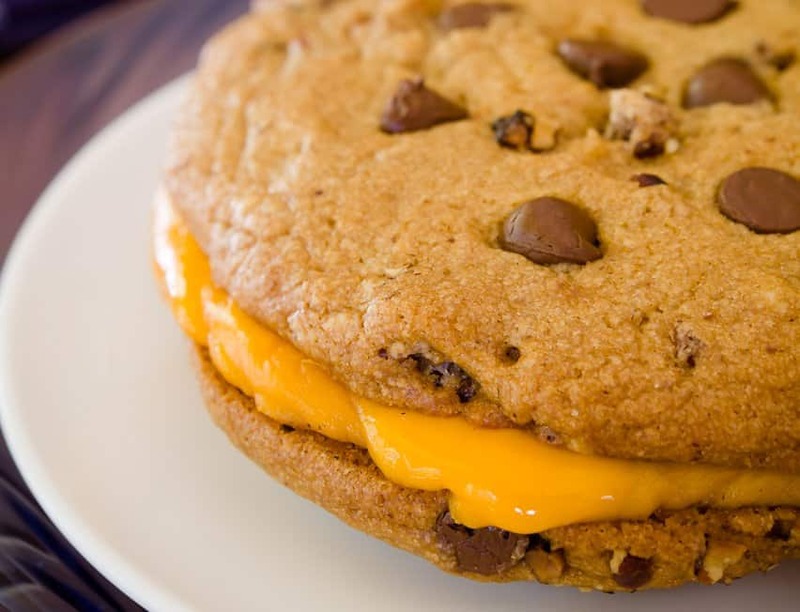 It appears to be some cheese melted between two cookies, which sounds rather disgusting. 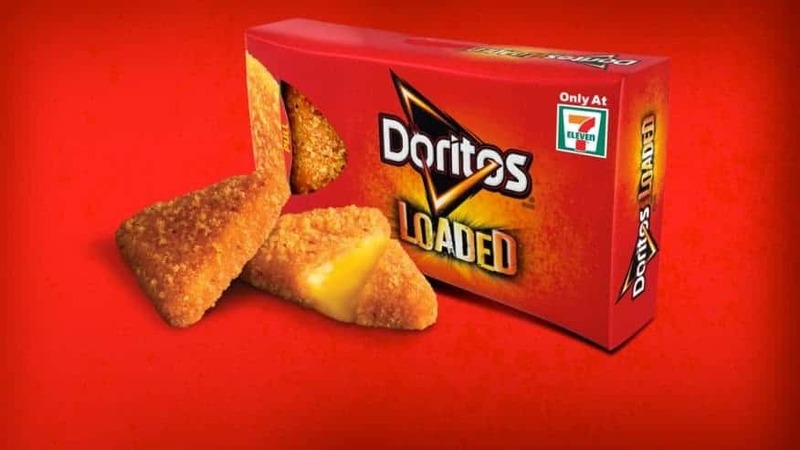 7-11 tried to appeal even more to the drunk crowd with this mashup, as they created some loaded Doritos. We don’t need to be drunk to appreciate that, as the cheese in the middle won us over. People wonder why the United States has so many overweight citizens. This is the reason why, as we can’t just have brownies or cookies. 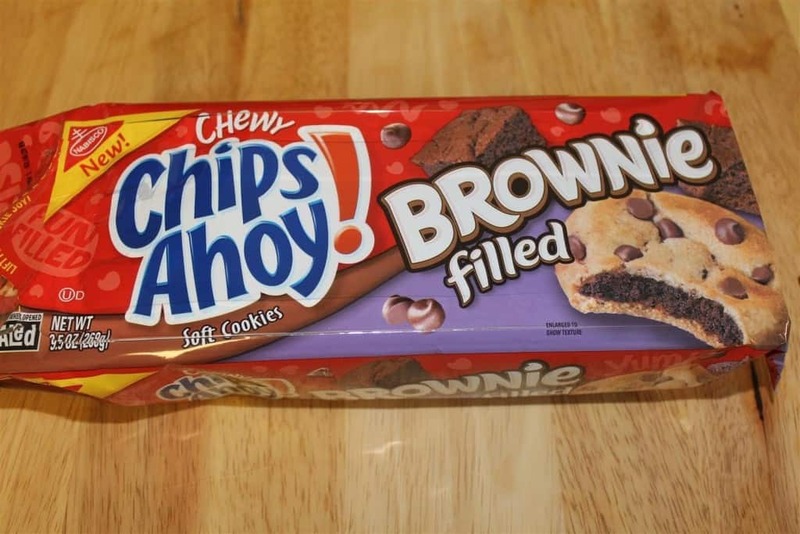 No, we have to put them together and have a brownie-filled cookie that is definitely not fat free! Sometimes companies should just stick to what they know. Cinnabon has a good thing going and their cinnamon buns are amazing. 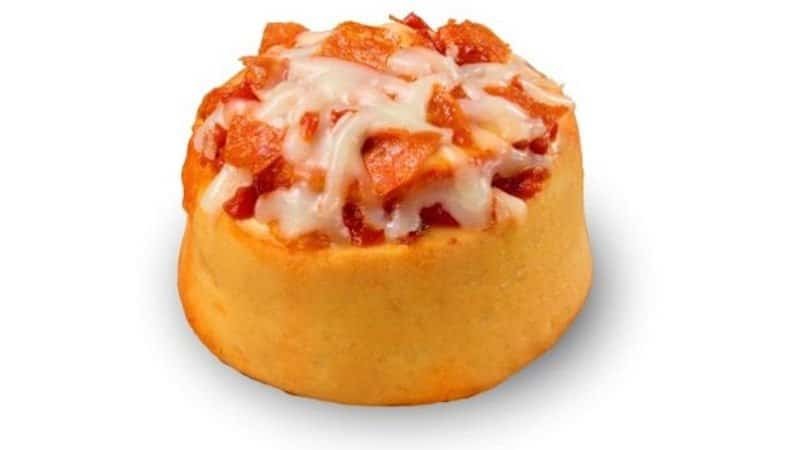 They tried to get wild and make a pizzabon and it just seems like a silly concept to us. 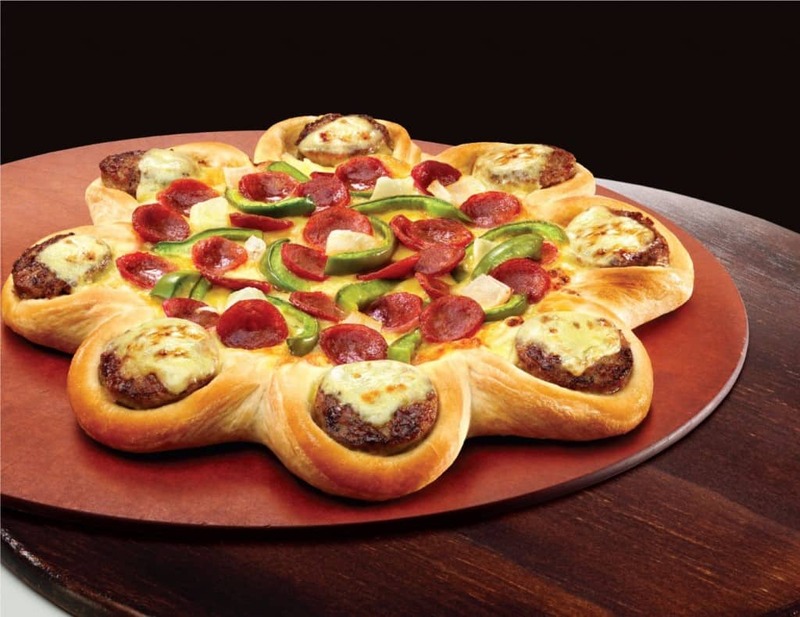 Speaking of pizza, Pizza Hut tried to mix things up a little bit and they created a cheeseburger crust for their pizza. The pizza is oddly shaped and if we wanted a cheeseburger, we would have gone to McDonald’s. Nevertheless, this could be a tasty concoction. 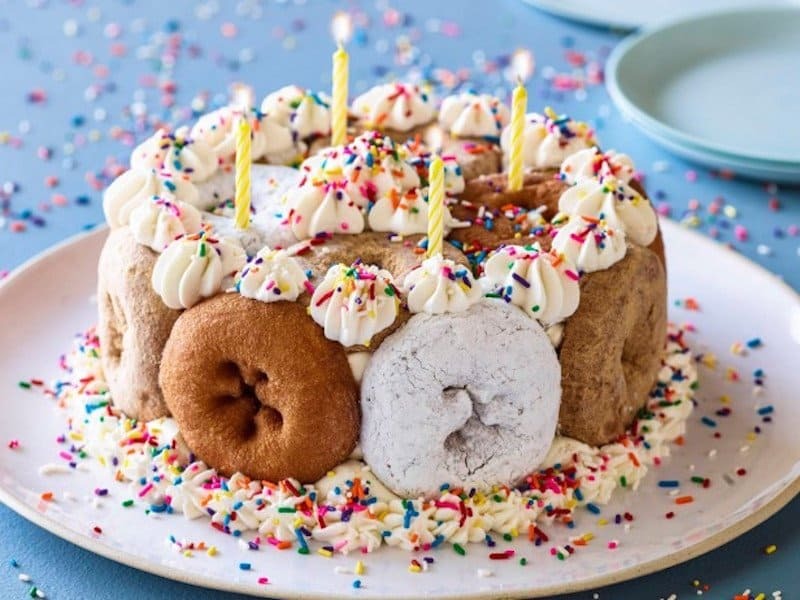 Besides being completely lazy and not actually making a birthday cake for someone, this is a cute alternative. It is nicely decorated, as we have never seen it done this way. 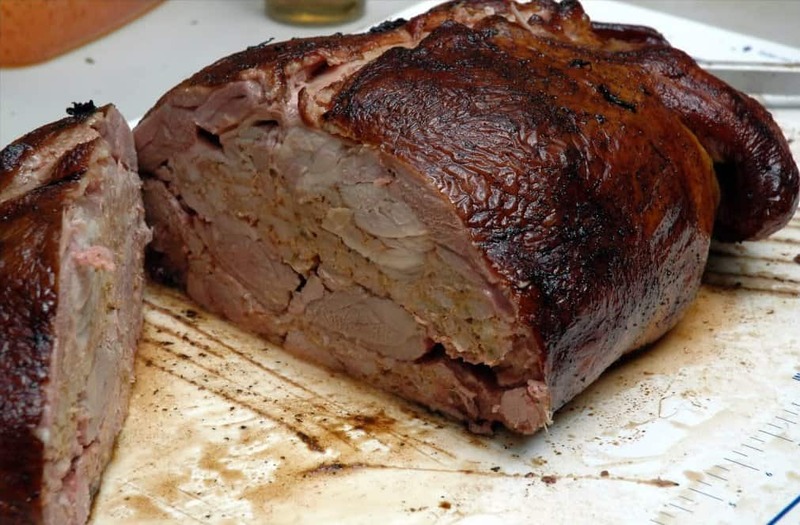 Most people make side dishes to go with meatloaf. Mac and cheese could definitely be an option for one of those side dishes. This person saved time with making a side dish and threw it right in the middle of that meatloaf! KFC definitely wants us to stop using buns and start using chicken! They have the Double Down sandwich, which is just two pieces of chicken with bacon and cheese in between it. 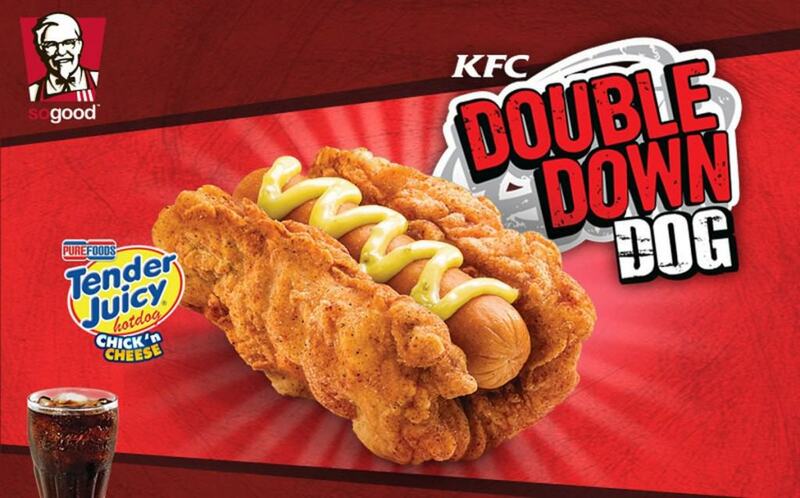 Now they have the Double Down Dog, which is a hot dog surrounded by a chicken bun. While this is a crazy concept, how brilliant is it at the same time? We all love some garlic bread with our spaghetti, so why not skip the hassle and just combine them! 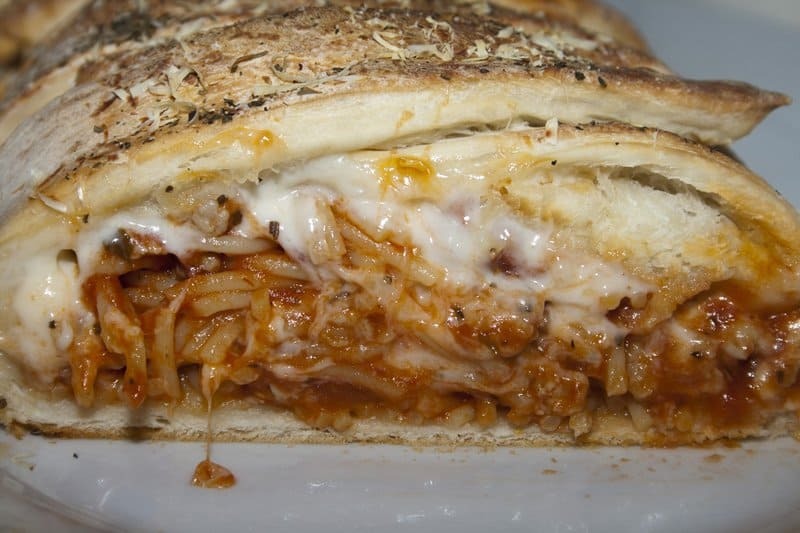 It is like a calzone, but stuffed with spaghetti.